Yes, indeed, this blanket is finally (finally!) done, as of yesterday. I started this blanket back in June, but never finished it because I ran out of yarn and couldn't find these same colors at any craft store. (I hadn't intended to make a blanket with this yarn when I first purchased it, so I didn't bother to keep the paper with the name/color on it for reference. Lesson learned!) I had the blanket almost completely finished when I ran out of yarn, so I left the poor thing tucked under a table in my crafting nook for months. I knew I could easily just take out a row or two and finish the edging with the yarn I had left, but the very idea of it bothered me. When I finally brought the blanket back out and finished it, it was so satisfying. It's not perfect, and it's much smaller than I had intended, but I crocheted a blanket. I mean, honestly? I'm proud. And I love this little blanket. As I was telling some friends yesterday, I've been learning a lot lately about how some things are better done imperfectly than not at all. And this project is the perfect representation of that lesson. 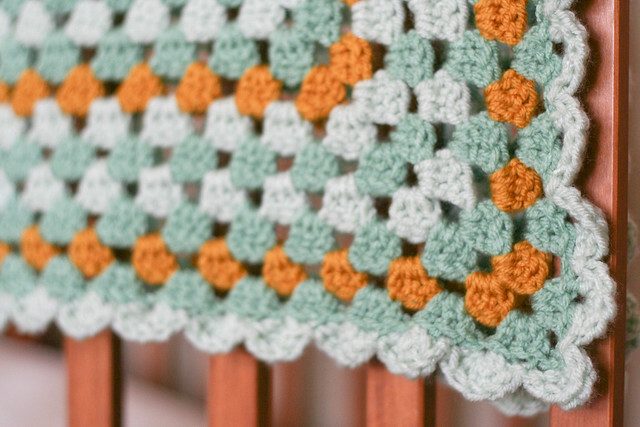 For reference, there's a really great tutorial on how to make a granny square blanket here. 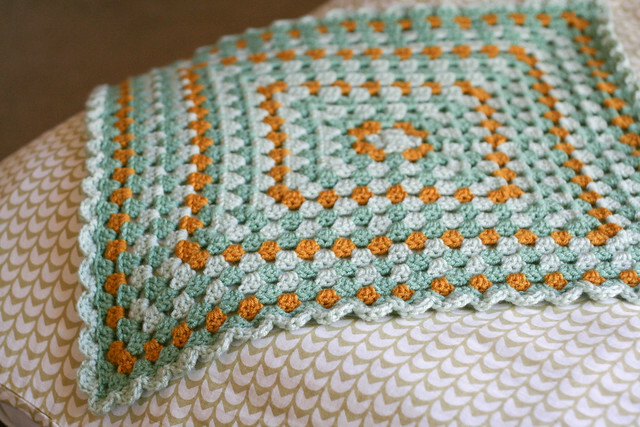 (If you can master the double crochet, this blanket will be a piece of cake!) 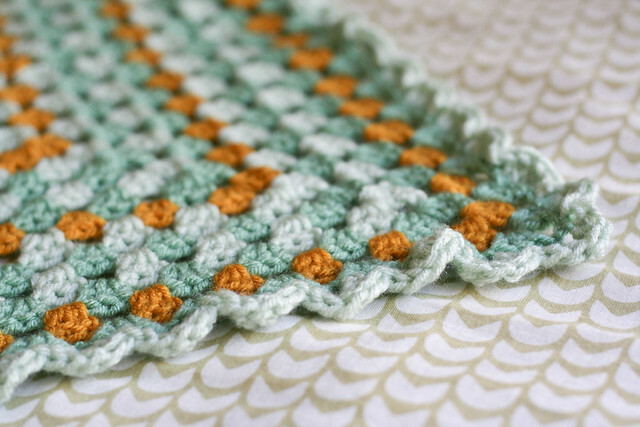 I can't seem to find the tutorial I used to learn how to do the scalloped edging, but you can easily find one on Pinterest, if you do a quick search. The edging on my blanket turned out a little puffy (I did 5dc for each scallop)—but I think for this smaller blanket, the scallops turned out fine. Eisley was excited that I finally finished her blanket. (Clearly, she has chosen to wear it as a cape instead of a lap blanket, but I guess that's okay with me.) Now that I finally finished my first blanket, I'm eager to start another one! 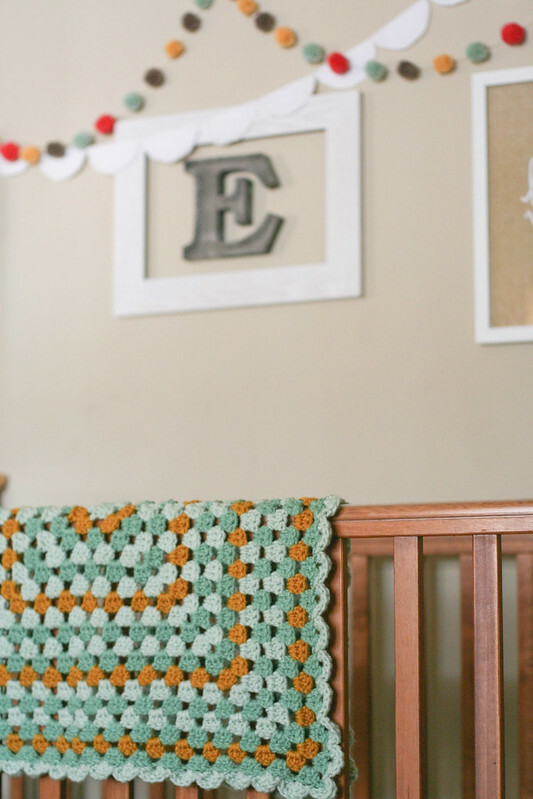 All things considered, this blanket used up less than 3 skeins of yarn and ended up being the perfect size for a child's lap blanket, or a full-size blanket for a newborn. I love it! The colors are great. (I think I said that before). 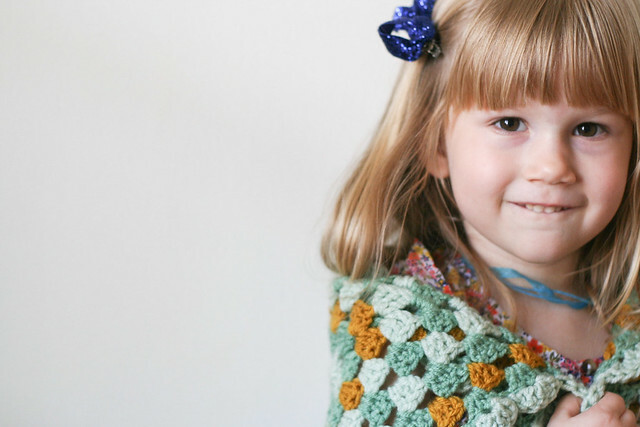 crochet can be very addicting, I can attest to that. :) Good luck with the new project . I can't wait to see what you plan to do. This is so pretty, Kerri! I usually get so excited about new crochet/knitting projects, but then sometimes -- when they're big projects like blankets -- they seem to go on forever. Finishing it is not small feat! So impressed!